With in Al Nasr – a small residential locality – the management has accomplished in organizing best bowling services for the citizens of Dubai. Although the place has several commercial and entertainment complexes but Al Nasr Leisureland Oud Metha Dubai has its own significance. The services endowed at Al Nasr Leisureland Oud Metha Dubai are quite unique because the friendly oriented staff’s main aim is to provide out class opportunities to avail leisure activities, in which they have accomplished to a massive extent. So if you wish to experience the trill arranged by the management of Al Nasr Leisureland Oud Metha Dubai then the guide arranged below will certainly help you out. Besides bowling visitors are allowed to enjoy the live action while enjoying their favorite beverage and cheer up their friends or family. Presence of latest technology has made the place worth visiting. A nice café is also present nearby so that after an action packed activity you can enjoy some sumptuous food. Boxing classes are also held for those who like this activity but are not aware of the exact techniques. 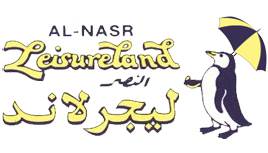 If you wish to experience the out class services at Al Nasr Leisureland Oud Metha Dubai then plan your visit during 9:00 am till 11:00 pm, seven days a week. 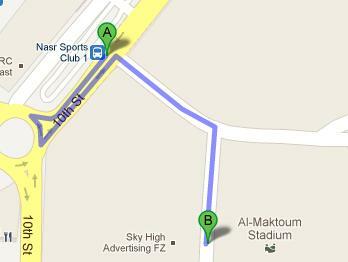 Nasr Sports Club 1 is 550 meters away from the Al Nasr Leisureland Oud Metha Dubai. You will have to walk for 7 minutes in order to reach at your destination. The two routes that make a stop here are 42 from Airport Terminal 1 and C4 from Gold Souq Bus Station 4C. From the station you will have to head in the southwest direction and on the 10th St. After passing the roundabout take the first exit and then turn right. The last right turn will help you in reaching at your destination.